The VLPFM-1 is a 1W stereo FM Transmitter for very low power applications, includes built-in stereo encoder/audio limiter. 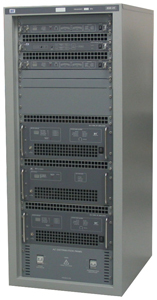 The EX-12D to EX-500LD series of FM transmitters are supplied in a 2U rack mount module and cover the RF power ranges from 12W to 500W. Each Transmitter type include identical features such as; digital display for metered parameters and unique VU meters for modulation monitoring with differences in Power supply and RF Power Amplifier modules. 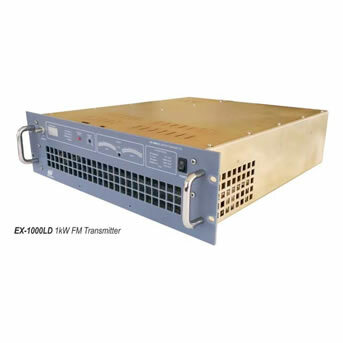 The EX-1000LD solid state VHF FM Transmitter is a new compact 3U, versatile and economical unit with an R.F. output in excess of 1kW, utilizing 2 x BLF178XR LDMOS amplifiers for extreme reliability in high temperature and high VSWR conditions. 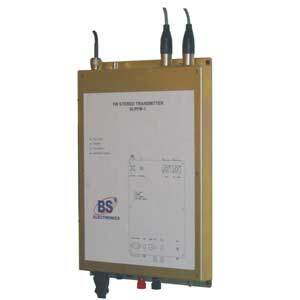 The BSE2K-LD1 FM Transmitter offer a compact 2kW FM Transmitter kit. Consisting of a 12W Stereo Exciter (1U) and 1kW RF amplifier module (4U) with built-in power supply. 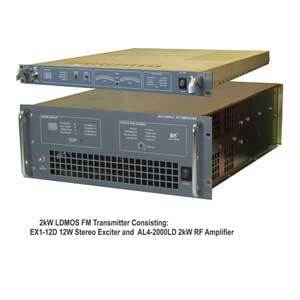 Used for medium power FM transmitter applications. Includes very efficient LDMOS RF amplifier, with low mains consumption and heat dissipation. BSE4K-LD2 4kW FM Transmitter with Dual 12W exciters. The BSE4K-LD2 is a compact solid state 2kW VHF FM transmitter providing exceptional RF and audio performance with R.F. output in excess of 4kW.